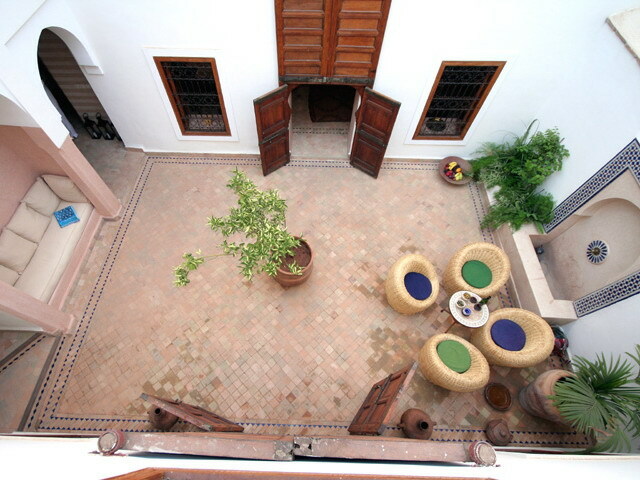 Dar Sana - Luxury Riad in Morocco. 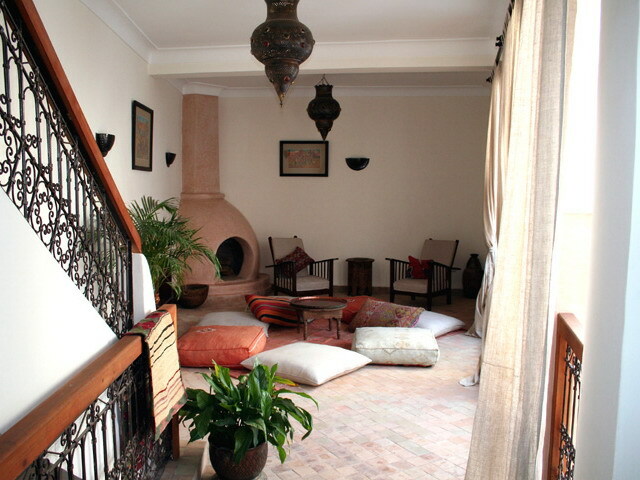 Book Dar Sana Today with Hip Morocco - Holiday Accommodation in Marrakech, Morocco. "A range of earth tones, from brown to white, creates a warm calming atmosphere inside." 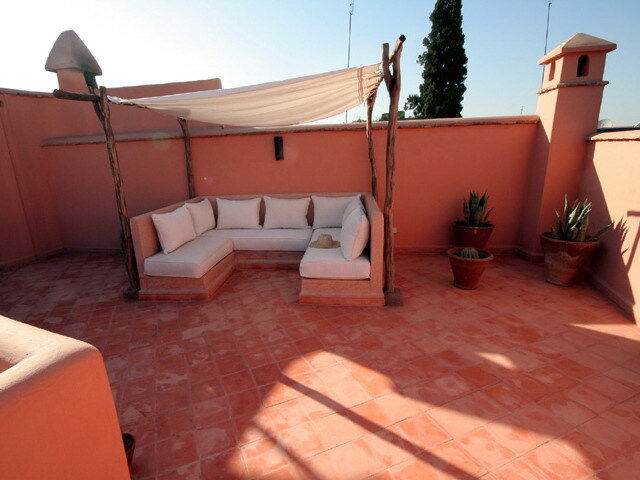 Dar Sana is the perfect place in which to retreat and to relax from the hustle and bustle of Marrakech. What makes it even more perfect is that no-one else will spoil the calm because Dar Sana is only rented out as a whole, although you will be sharing with Ali and Nino (the two much-loved resident tortoises). Dar Sana has been rebuilt and restored with great care. The English interior designer has carried on the thoughtful theme with great skill giving each room a different theme, but always reflecting the charm and serenity of the Dar. A range of earth tones, from brown to white, creates a warm calming atmosphere inside. 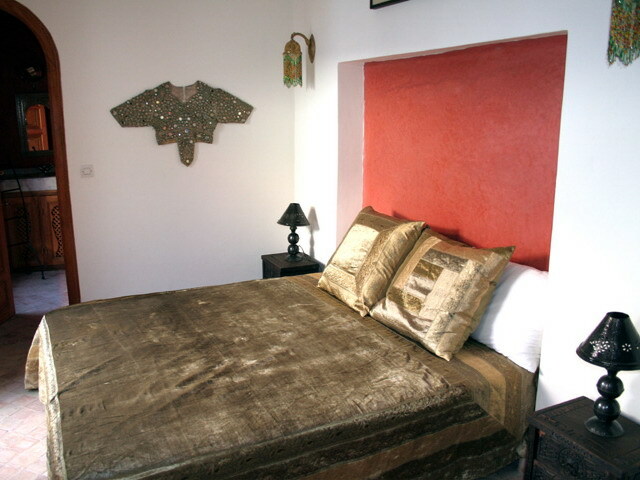 African triban cultures are one of the principal interior design elements of this house. Whole house rental only- two double bedrooms. We are in an excellent situation near to the Bab Doukkala mosque, only ten minutes from the souks and ten minutes from the modern city of Gueliz and within minutes of some of the best restaurants in Marrakech. 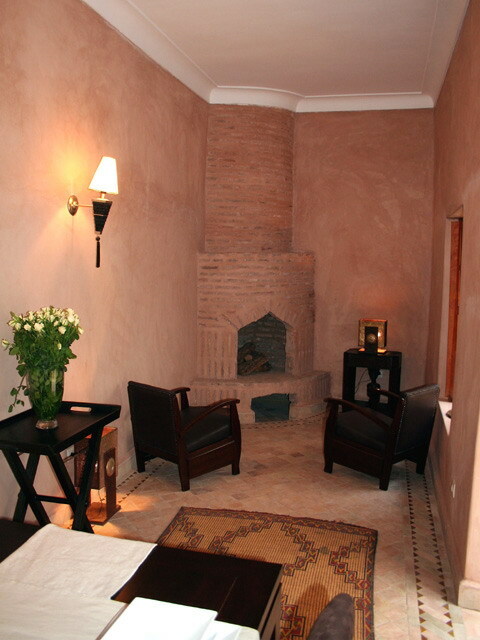 We are situated in a quiet derb in the medina (or old city) with excellent road access for taxis or parking. 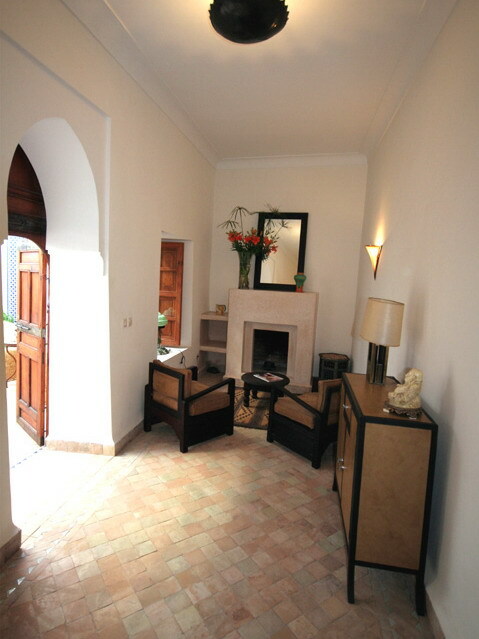 The accommodation in the house is suitable for four adults only (two double bedrooms). Please note we cannot accommodate children under 14 years of age. We are in an excellent location near the Bab Doukkala mosque, only ten minutes from the souks and ten minutes from the modern city of Gueliz and within minutes of some of the best restaurants in Marrakech. 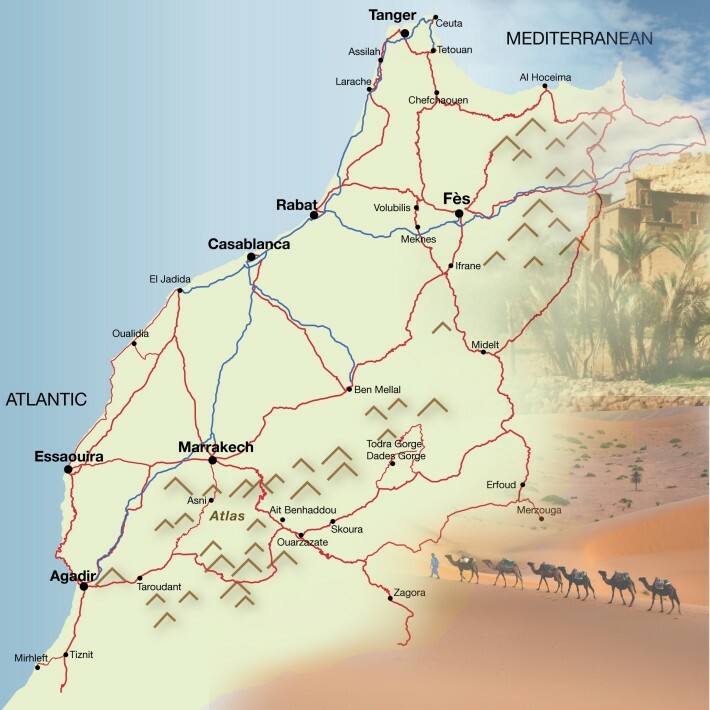 We are situated in a quiet derb in the medina (or old city) with excellent road access for taxis or parking. 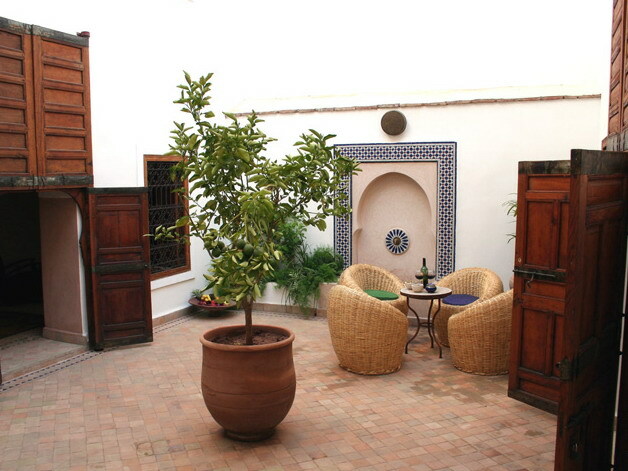 The house is pretty and stylish, built around a courtyard with a central lemon tree and fountain. 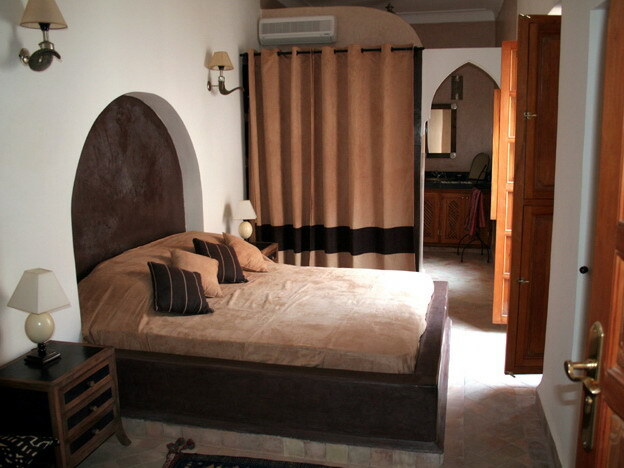 It is built over two floors and has two double bedrooms with ensuite bathrooms and air-conditioning. On the ground floor there is a sitting room and a dining room - both having fireplaces for colder evenings. There is also a kitchen, guest bathroom, utility room and a large patio area. On the first floor there are two double bedrooms with ensuite shower rooms. There is also a large summer sitting area overlooking the patio with its own fireplace. At the top of the house there is a terrace with dining table and chairs, sun loungers and seating area. 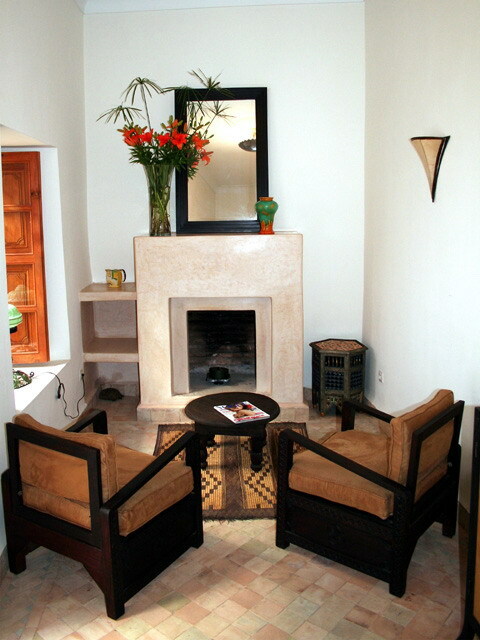 Prices are per night for the whole house accommodating up to four persons. 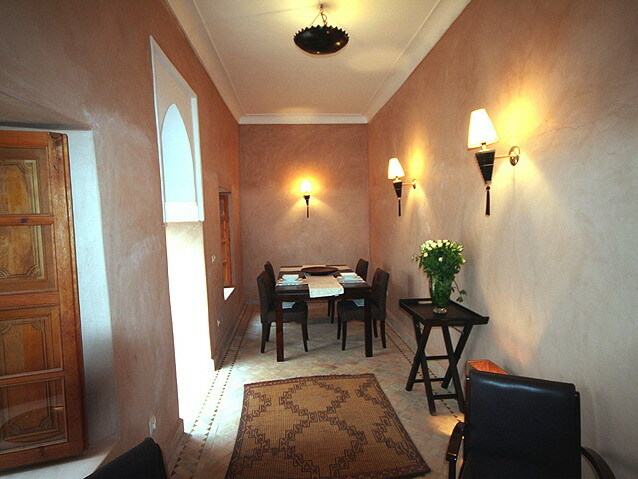 The base rate price at Dar Sana is in pounds, euros, or Moroccan dirhams and exchange rates are approximate.